I don’t know if anyone else can appreciate that as much as me, but I cretainly appreciate it. Lately I have been thinking about the fact that most of South Florida is located right in the middle of a seemingly endless expanse of swamp, and a seemingly endless expanse of ocean; I don’t know if there is anything that can asses the spectacularity of driving along the verge of the everglades. Class is going quite well, and I am getting smarter every day. It may seem like a novel thing to say, but to me that is the the tangible reward of going to graduate school. I will certainly depart from this phase of academia a more concise version of myself, excised form a far broader cloth. Time is knowing how to utilize it efficiently, and knowing what to do within that efficiency. I have a friend who kept a one word diary. Today I bought socks made from recycled yarn. In New York there are two kinds of rain; both come from above, but one comes from air-conditioners. Your punctum is not my punctum, but the studium is the world’s. Perhaps abjection is more a matter of man versus nature than man versus man. I have been doing a lot of reading. Yesterday I went to meet my parents for dinner, and while I was waiting fro them I saw a flatbed truck fly by on the road. This fatbed truck was of certain temporal import, however, because its flatbed was holding a variety of Indian dudes with food-selling carts–it looked exactly like India, specifically the way one guy’s face looked in the wind. Today I have orientation for school, which excites beyond most things that my life has been since I left school. Today I have to buy a ‘purse’ (as Hilliard referenced it) to hold my small belongings when I go out. I don’t enjoy having things in my pockets when I’m doing things. Right now I am looking at my amplified book and wondering how I am going to heat-shrink the connections on it because I can’t use a heat gun in my unventilated dormitory; the window looks like it would open–it even has a screen–but that is not the case at all. What a great pair of networked ears he is for me. randy has turned me on to several sources of interesting sound on the internet. The newest one is quite titillating. What we have here is a failure to communicate, sort of. these recordings are audible renditions of electro-magnetic activity. For the human ear electro-magnetic activity is not audible, but with the help of special technologies electro-magnetic frequencies can be translated to audible frequencies. I suppose such a situation is a bit like braille. I will not be able to visit Orlando before I leave for New York. Although there is only one thing that supercedes visiting–being with my parents–it is simply an inaccessible moment in time. Regrettably. My life will be quite different two weeks from now. I think it is time that I had a substantial change, and more importantly I have spent a year without the thing which I do best; school. My punctuation is suffering. I cannot comprehend anything right now except for the microcosmic fluctuations taking place at an immediate pace right in front of me. I wear glasses now. I waited for years before finally acknowledging that I can’t see well beyond twenty feet in front of my eyeballs. It could be ‘incalcullably’ or ‘incalculably’ it’s really up to me, as this is an instance of unconventional grammatization. Language is a conceptual tool. At some point on my trip grammatology became clear to me. I had seen a short program on television about animals ability to communicate, and somewhow made the connection that it is our ability to utilize sound as signifier that seperates us. I made an installation of my copy of Grammatology in India by inscribing in the cover: “I left my Grammatology in India. An installation and conceptual work by Zachary Granger Moldof.” I gave the book to a young Indian gent in a book store. I am drinking vodka with cranberry juice right now, and finishing up the last of my packing. I am still a bit out of sorts, and have litle insight into life that I can offer. I suppose that should change quite soon. 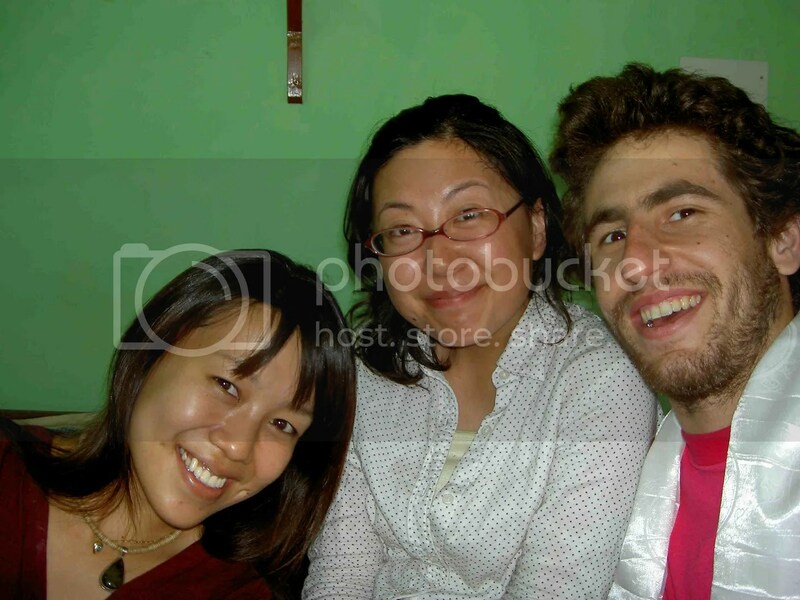 This picture was taken in Vashisht when Kimiko. Chie, and I were walking from our guest house to a waterfall. 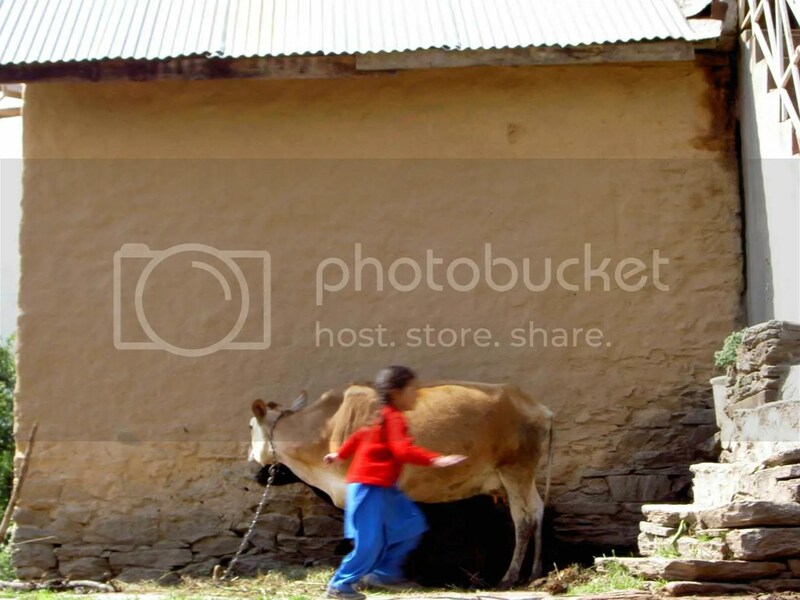 This little girl was hitting the cow prior to my photography. Today I am beseiged by feelings of inarticulation, and ill-temper. Perhaps the latter description is an overstatement, or perhaps I am underplaying the relevance of my ability to interpret subtleties in my mood. I have two days left in South Florida befor I leave for New York. Without a scruple I aim my life at this departure, and look forward into a generous wealth that takes shape in many aspects of a human’s life. However, I feel that I am engaged de facto in a typical human ‘stress’ behaviors–it is offsetting. Nothing to worry about. Things that I need to do to myself: exercise self-control. Today I got a tool kit that I will be able to keep in my new home. My tool kit was boxed in a fashion that displayed all of the tools inside of their own handy carring-case, and the tools were kept from thieves/damage with a contoured plastic sheet. When I began unpackaging the tool kit I realized that the plastic sheet was held in place with screws; sometimes design can be a hideous monster with a keen sense of humor. Upon my return from India I found that someone had ‘re-arranged’ my room–this upset me. But, to my still-lingering joy my ceramicron housing had been revealed. Ceramicron is a discontinued line of refillable fine point pens produced by pentel. The beautiful thing about ceramicrons is that the refills consist of both ink and tip, and the tips are solid metal–metal fine tipped pens do not blow out and become medium tipped pens. I took this picutre in Chie and Kimi’s room at ‘Pink House’ (our guest house in McLeod Ganj) right before I left for my bus to Delhi. The white shawl that I am wearing was gift from Chie, and Kimi, it’s a Tibetan safe travel shawl. This is a picture that I took of a wall in McLeod Ganj. In front of the wall is Kimi. I am partially in love with this picture. Revel in that sentence if you know about my personal vocabulary rules. 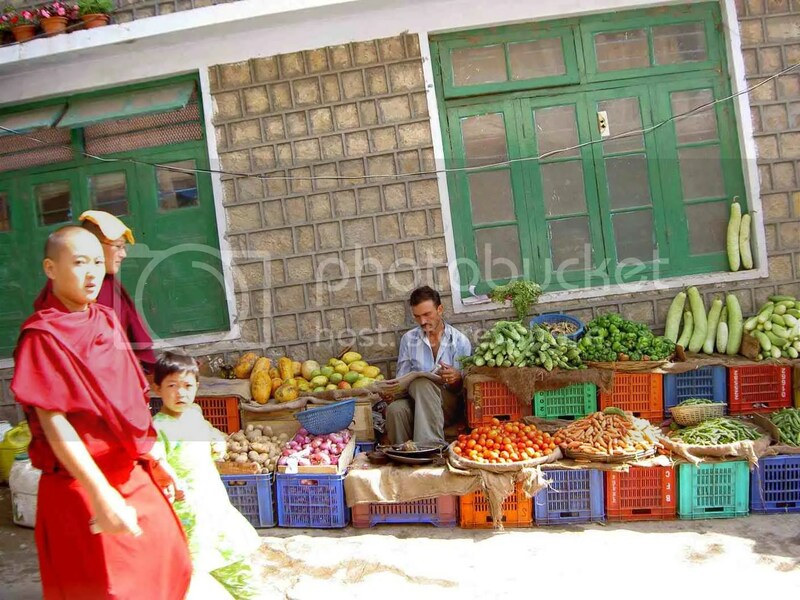 This is one of the many fruit vendors in McLeod Ganj accompanied by some passing nuns and a small child.